After you have a detailed comparison between iPhone 8 and Samsung Galaxy S8, for example, you may want to move from Android to the biggest iPhone to enjoy the whole bundle of exciting new features (the all glass OLED display, radical design, face recognition...). 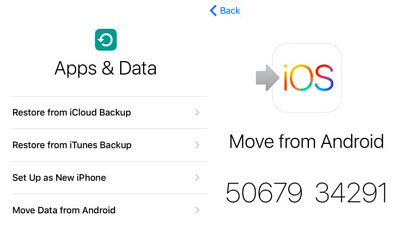 For this purpose, Move to iOS provides an easier way to move data onto new iPhone 8/7/6S, iPad from Samsung, Moto, HTC, Google Pixel, LG, ZTE etc. "However, given the large data library on old Android device and device pairing over the Wi-Fi, Move to iOS not working problems may occur during the data migrating. For example, users are complaining about Move to iOS taking forever, stuck on preparing/Moving items to place, or not generating code ... "
This tutorial centers on how to solve Move to iOS app doesn't work errors. Solutions to all the above problems can be found here. 1. Move to iOS app works with Android 4.0 or higher, and iOS 9 or later. 2. It does not work with data transferring from iOS to Android (and Android to a New or Reset iPhone only). 3. Make sure both devices have enough power, and iDevice has enough space for the data transferring. 4. The transferring depends heavily on the size of the data, and large-size data can take from hours to days, and even get stuck in transferring. b. Drag and drop massive 4K moves, videos, pictures, playlists etc into iPhone 8/7/6S/iDevices in a flash via MacX MediaTrans. 3. Download the latest firmware on both devices. 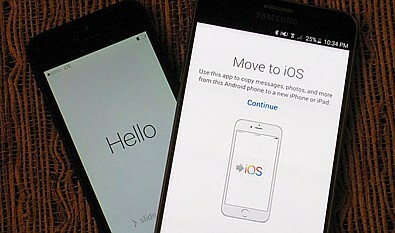 Wonder how to transfer data to iPhone from Windows, Android, old iPhone? Check how to transfer data to new iPhone. "I try to use Move to iOS app to transfer data from my Samsung Galaxy Note to iPhone 7 but it shown error message 'Unable to migrate' after key in the code. Any ideas how to solve it?" After users successfully connect both devices, they may find that Move to iOS app doesn't work with the above error message. 3. Reset the Wifi network. Check iPhone backup tools running on iOS 11/10 or earlier. "When set up new iphone 7 plus and migrate all data from nexus 5 after some headaches getting the phones to connect correctly and it starts to transfer data (a couple hours) but soon stuck on transferring showing 'Moving items into place...'. The stuck and frozen for about 18 hours ago or so and the progress bar hasn't moved." The problems with freezing happens during iPhone data transferring, preparing, "Moving items into places" etc, annoying but there aren't many effective fixes. 4. 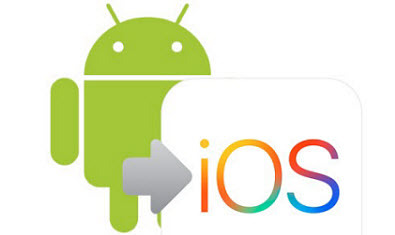 Try Android to iOS transfer tool to move the large files first and skip the long time waiting. Go to Setting and tap "Touch ID & Passcode", then choose change passcode > type your current passcode and choose passcode options > now choose the custom numeric code. MacX MediaTrans can transfer 4K, HD movies, videos, photos, music, playlists, books, ringtone, other media backed up from Android to iPhone by drag and drop. 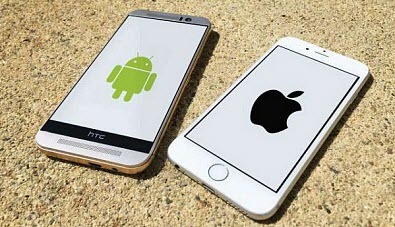 Transfer Android data to iDevices instantly without Internet connection or waiting at all. No more Move to iOS not working errors. No More Hours Waiting for Android to iOS Data Tranferring!